The SCB add-on is our most popular upgrade to the DCT machine! Utilizing the hydraulics and controls on the DCT machine, an SCB fixture can be added to the DCT frame at a fraction of the cost of a stand-alone machine. We have experience integrating our versatile software and controls with existing hardware and electronics. This is done when existing software becomes obsolete, unsupported, or non-functional, but the hardware is still operational, or can be upgraded at a reasonable cost. Upgraded universal test machine (UTM) to run Dynamic Modulus (ASTM D3497). Replaced actuator with high performance double acting model. Integrated Testquip controller with existing electronics and hydraulic power unit. Developed dynamic modulus application software for end user. 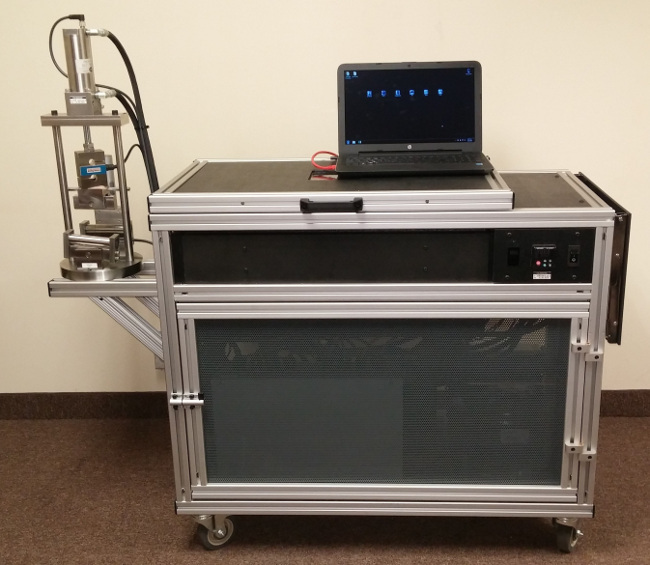 Upgraded universal test machine (UTM) to run Indirect Tension (IDT) strength and creep compliance tests (AASHTO T322, ASTM D6931). Repaired leaking actuator seals with new custom made seals. Integrated Testquip controller with existing electronics and hydraulic power unit. Developed IDT software for end user to run strength and creep tests. Upgraded non-operational four point beam fatigue machine. Replaced non-functional controller with stand-alone Testquip controller interfaced with existing pneumatic power unit. Converted European power to North American power specifications. Developed beam fatigue software application for end user to run tests according to AASHTO T321. 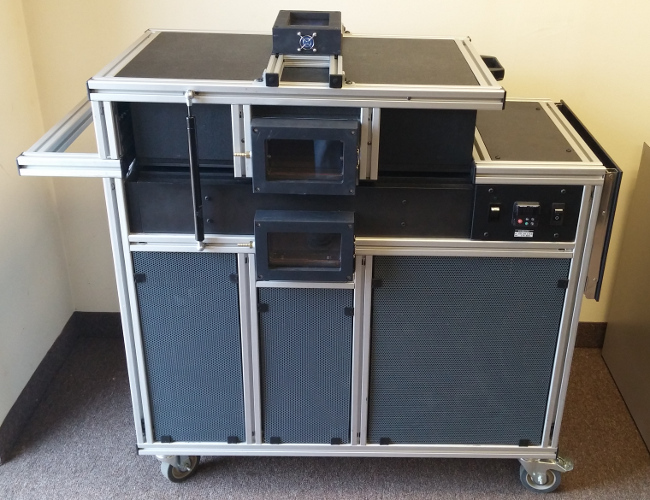 We have also developed custom software and fixtures for customers conducting research with our existing products. Examples include: Creep compliance with DCT specimens; cyclic fatigue with DCT specimen; Low temperature Semi-Circular Beam (SCB) (AASHTO TP105); and Overlay Test (Tex-248-F) with custom waveforms. In addition to offering our standard equipment configurations, we have experience providing customized solutions to meet your specific requirements. Below are just a few examples of custom configurations we have delivered to our customers. 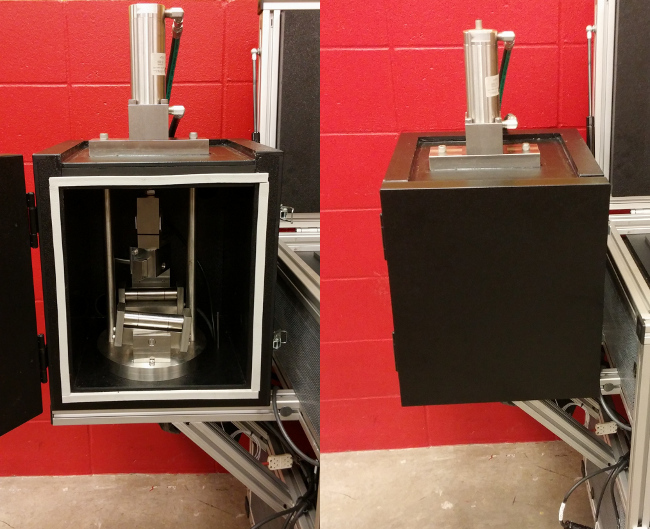 This machine was built with a custom frame and lid to allow mounting of camera windows for image correlation. To achieve lower than room temperature conditions, an external chamber was built around the SCB fixture. Cool air is supplied to the chamber via a feed and return duct attached to the DCT chamber. 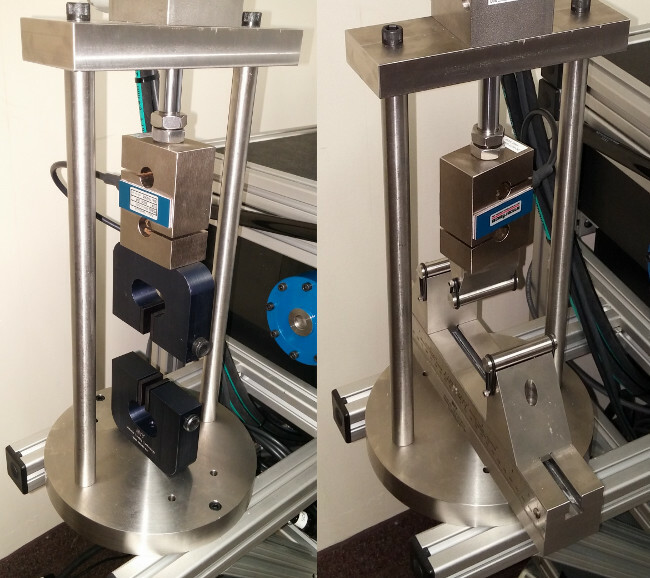 Given the aforementioned versatility of our controls, we have utilized the SCB fixture to provide a cost effective means to run the ASTM D638 (Standard Test Method for Tensile Properties of Plastics) and D790 (Standard Test Methods for Flexural Properties of Unreinforced and Reinforced Plastics and Electrical Insulating Materials) tests.